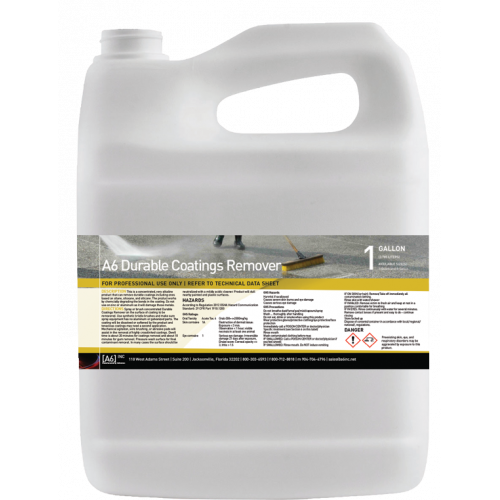 Durable Coatings Remover is for use in the removal of industrial grade coatings such as Adsil, siloxanes, urethanes, and epoxies, along with heavy carbon...heavy carbon buildup that has accumulated over many years of exposure to industrial and other pollutants. 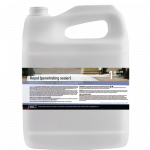 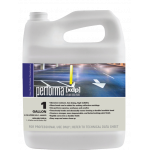 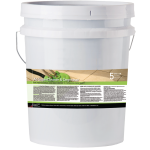 A6 Durable Coatings Remover can also be helpful in the detailing of water run streaks as a part of the overall building cleaning process especially when cleaning pre-cast or site cast concrete, limestone and concrete block structures. 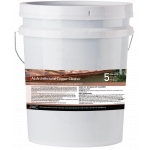 The application of A6 Durable Coatings Remover is followed by a neutralization and final cleaning application with a neutral cleaner. Proper use of this system will result is a selfneutralizing cleaning project. 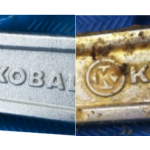 Unlike most competitive systems, A6 Durable Coatings Remover can be applied by low-pressure spray equipment that should result in a lower cost per square foot for cleaning expense.